Hey everybody, as I said on Friday, I planned on going to two pre-releases over this past weekend, and I ended up going to both, regrettably. I think I had the worst pulls of any player at the tournaments, some of which was bad luck, and some as a result of the bad set design. This deck wasn’t anything special, but it was the best I could do with the cards I pulled. 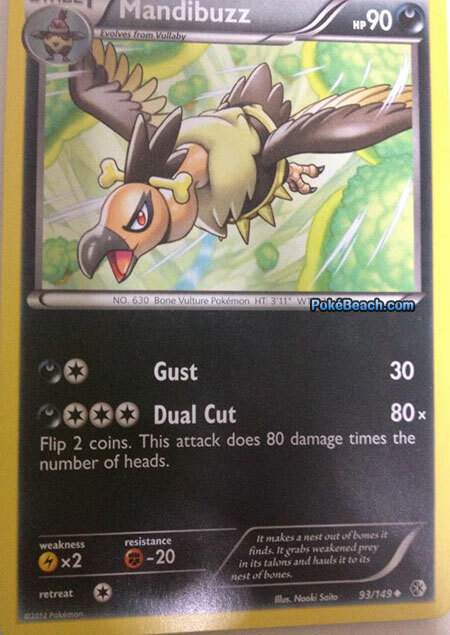 The main hitter in the deck was the Golduck BC35. The cards first attack is Amnesia, which does 20 damage, and you get to choose one of the Defending Pokemon’s attacks and that Pokemon can’t use that attack during your opponent’s next turn. 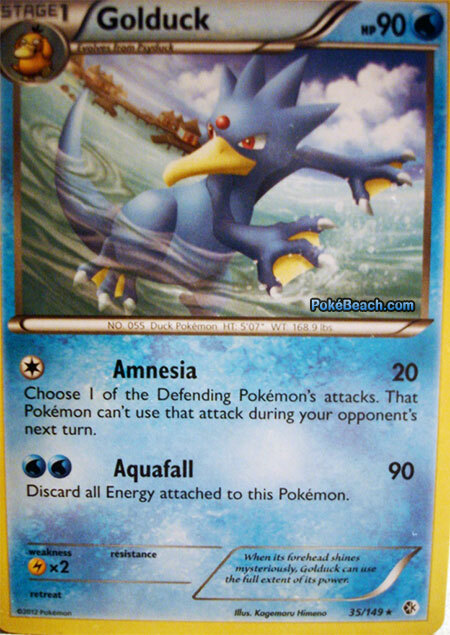 Its second attack is Aquafall, which does 90 damage for WW, and you have to discard all Energy attached to the Pokemon. 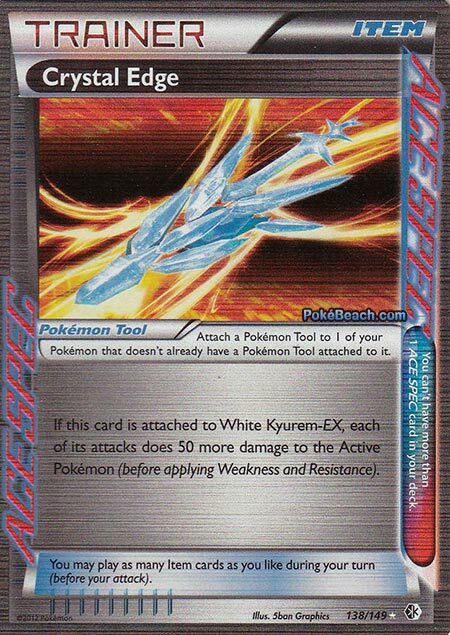 The first attack can be particularly useful against cards that only have one attack. In the early game, you could prevent your opponent from attacking, and later in the game, you could force your opponent into only using their Pokemon’s weaker attacks. I put the second Golduck in the game just to have another Pokemon to attack. 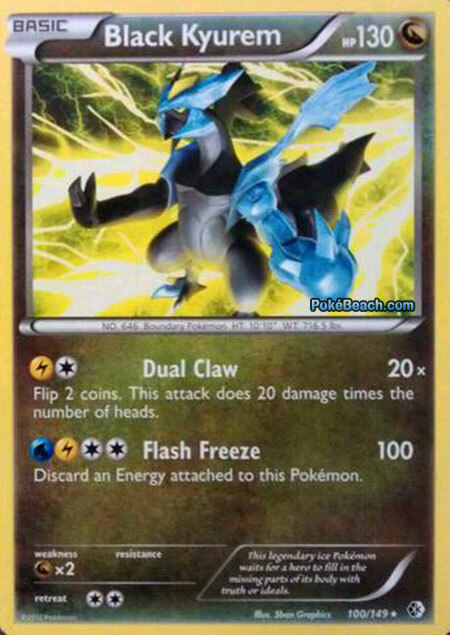 Its a very poor card overall, but one nice thing about the two Golduck’s is that they had free retreat, so you could move them back to the bench if they got too much damage, and in the case of the Aquafall Golduck, you could retreat it to the bench and attack with something else while you re-powered it. I liked putting the Whirlipede line into the deck as just some other prizes my opponent would be forced to take that could put damage on my opponent’s field to weaken up their Pokemon for Golduck. In most games, I actually ended up leading with Whirlipede, which was really strong in this format with a somewhat bulky 100 HP, and the automatic poison if my opponent ever attacked into it. Shaymin and Delibird were my setup Pokemon.Shaymin has a Call for Family attack which could get you two Basic Pokemon. In a lot of my games, it would come down to going for Call for Family to get out Delibird and a Psyduck. I would then use Delibird’s Present attack (flip a coin, if heads search your deck for any card and put it into your hand) to get out my Golduck. 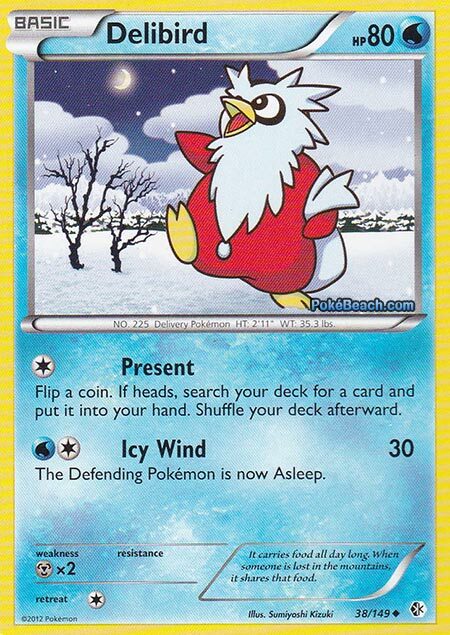 I also used Delibird’s second attack, Icy Wind, which does 30 damage while putting the opponent to sleep from time to time. It was a good stall attack, and after you’ve searched everything out of your deck with Present, it’s not a bad strategy to attack with Delibird and force your opponent to knock it out for a prize before you transition into the heavy hitters of the deck. The most interesting game I had with this deck was against Zach Zamora’s Landorus EX/Tangrowth deck. He could have benched me by using Land’s Judgement, but he chose to use Hammer Head instead for a few turns as he wanted to attack with Tangrowth for once in the tournament (this was the last round of the tournament). The game ended in this weird situation where he used Hammer Head on my active Psyduck with no Energy, and my Aquafall Golduck, setting up the double ko on the next turn. I would have had to attach to Psyduck to retreat it…but I top deck my other Golduck, evolve into Psyduck, retreat into my Aquafall Golduck and ohko his Landorus EX for my last two prizes! I ended the day 3-0 with this deck (although it would have been 2-1 if there were any prizes on the line, as Zach would have just benched me with Land’s Judgment). Once again I used Delibird and its Present attack as a bit of a setup engine. I actually got to use Delibird’s Icy Wind attack to knock out a Dewott in one game which was very clutch, as I hit all of the proper sleep flips to keep the Dewott from attacking. Black Kyurem was my main attacker in this deck. The card isn’t very good for competitive play, but for sealed its pretty strong. It bolsters a massive 130 HP, and its first attack Dual Claw costs LC and does 20x damage, flip 2 coins, 20 damage for each heads. Its second attack, Flash Freeze cost WLCC and did 100 damage, and you have to discard one Energy attached to the Pokemon. Needless to say, when you get this thing setup, it is a beast in sealed, being able to ohko most Pokemon in the format. I really liked Toxicroak because it had a Revenge attack that cost C, that did 90 damage if your opponent knocked out one of your Pokemon the turn before. That pretty much mean that Toxicroak was going to take a prize for you the turn after your opponent took a prize. Finally, Mandibuzz was just a third attacker I added to the deck to force my opponent into having to take all 4 prizes to win.Its first attack, Gust, costs DC, and did 30 damage. Its second attack, Dual Cut, costs DCCC and does 80x damage, flip 2 coins, 80 damage for each heads. 80 damage is good to knock out a lot of stuff in this format, and 160 damage is frightening. I would end up this day at 2-1. My one loss, I started with the Kyurem, whiffed a Pokemon on a Great Ball and got benched when I couldn’t draw into another Pokemon, despite taking a big prize lead with Kyurem. As you can probably tell by now I didn’t pull an EX, as otherwise it would have ended up in one of my decks. Here is a breakdown of the cards I pulled that have relevance to competitive play. I hope you have the same reaction reading this list as I have thinking back about this – what in the hell is this?!?! I spent $56 between the two pre-releases, and my best pull is a toss up between an uncommon Supporter (Skyla) and one of the poorer Ace Spec cards. I paid $56 to what equates to about $16 worth of competitive cards. To say that I am disappointed from this is an understatement. Cheated feels like a better word for this. How can someone justify going to future events like this when this is all they are getting out of them? I’m okay that I didn’t pull any EX’s or anything, but really bugs me is the inability to pull at least a few decent Holo Rares (like Charizard or Exploud for example), as well as getting a good head start on the pre-evolution lines of the good Holos and on the trainers in the set. The reason for this is pretty clear – Boundaries Crossed is a very poorly designed set. TPCI decided to include a Japanese set called The National Beginning Set into our English Boundaries Crossed set, which bloated the set to a giant 149 cards. These cards from the National Beginning Set are largely a collection of very bad, unplayable filler cards. By bloating the set up with this useless crap, TPCI has made it difficult to pull the good Commons/Uncommons/Holo Rares from the set, as you end up getting bad Pikachu and Meowth cards instead of Squirtles and Charmanders, and you end up with unplayable Holo cards like Serperior instead of Blastoise, Charizard, Exploud, Stoutland, etc. As a player, I like to attend pre-releases to show some support for the local stores and tournament organizers, but how can I justify still going to these events if this is the return that I am going to be getting out of them? That $56 could have been much better spent buying Singles. It could have been a playset of Blastoise, a playset of Charizard, and a Gold Potion. That would have been a much better way to spend my money than going to these pre-releases. After basically throwing away $56 in Boundaries Crossed pre-releases this weekend, I highly question whether I will be attending any more pre-releases in the future. This type of outcome is a very big put off, and really leaves me with a bitter view of these events when I am unable to even start building a solid collection of the pre-evolution common/uncommons and the staple trainer cards. Does anyone else have thoughts on this matter? 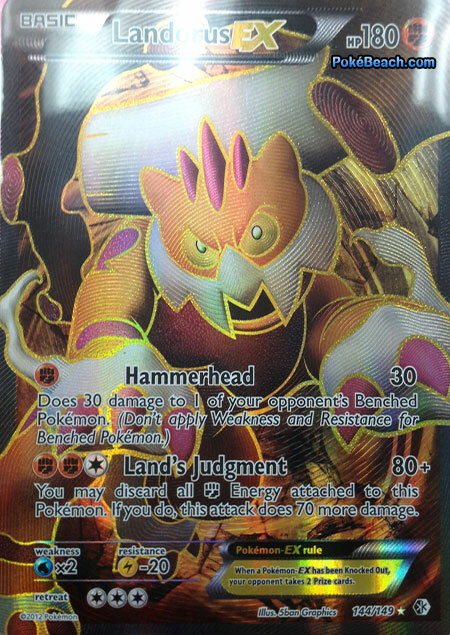 Image Credits: Card scans via Pokebeach.com. Featured Image via Tehkella’s Gaming Blog. Screw it man, just buy singles unless you’re going for the social aspect. It would be even better to just split a box or two with friends and draft yourselves. Yes, definitely. Most of my card buying is through singles anyway, as I don’t mess with the sporadic pull rates that have become Pokemon boxes anymore. I wanted to try to have some fun, and at least get some cards. The pull rates from this set were actually really good, so it was a good pre-release set to go to for Ultra Rare pulls, but I guess my luck was just really bad this time around. In the past, I could walk away with a solid start on all of the pre-evolutions and trainer cards from pre-releases, even if I didn’t get lucky with any great ultra rare or holo pulls, but this set was just bad for this – I didn’t even pull a Squirtle or Charmander! No joke, this was the best stuff I got. To make matters worse, I attended with 3 people from my local league and of the 4 of us there were 2 EX’es (Keldeo and Black Kyruem), 1 Computer Search and a shiny Rocky Helmet. Across 4 people, 10+ packs each and that was the best we got. What a rip!